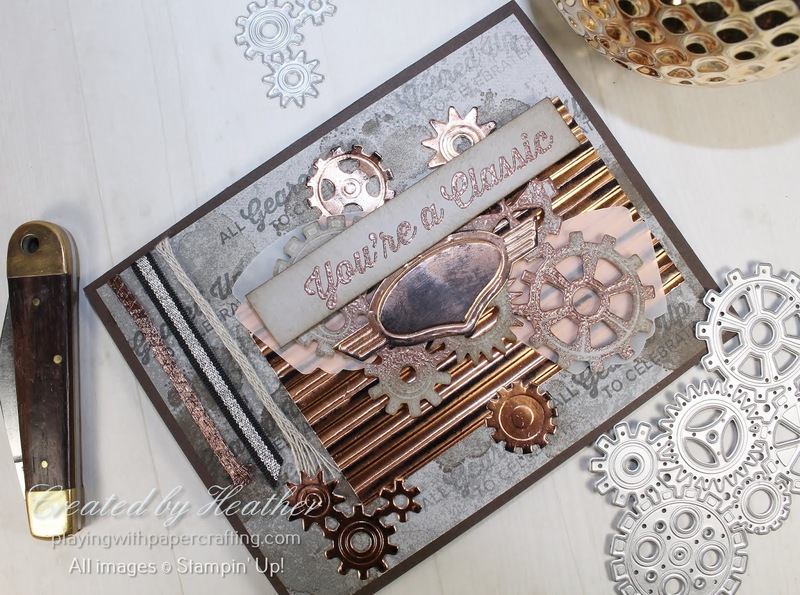 Playing with Papercrafting: Mr. Santa's Steampunk Birthday Card and Stampin' Storage Starts Today! 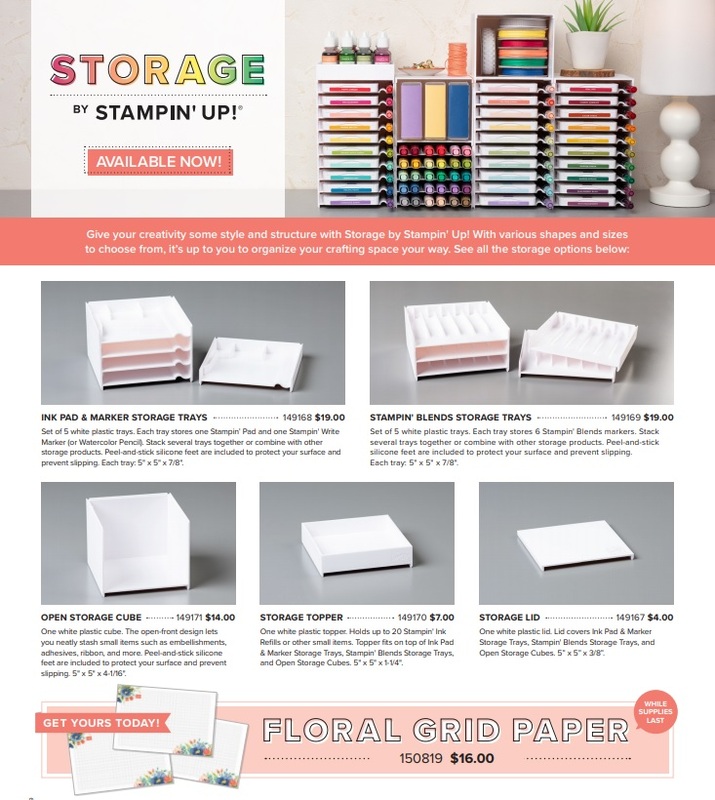 Mr. Santa's Steampunk Birthday Card and Stampin' Storage Starts Today! 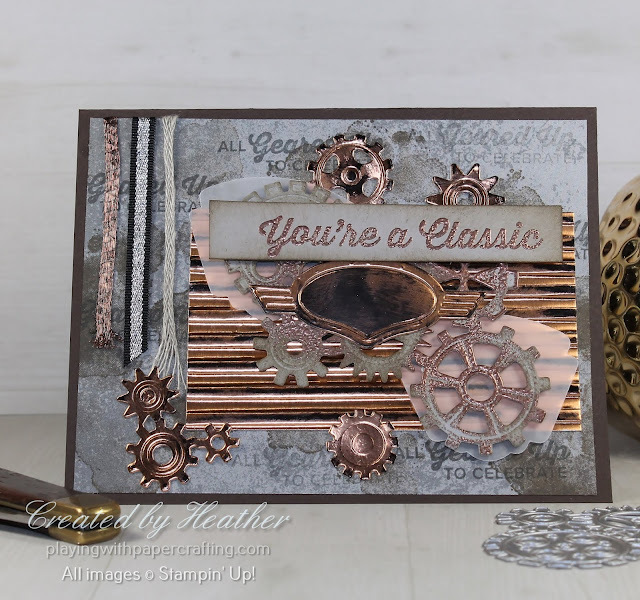 I altered the Classic Garage Designer Series Paper I chose by stamping the grease spot from the Geared Up Garage stamp set on it in both Basic Gray and stamped off Soft Suede ink. Then I added the All Geared Up to Celebrate sentiment all over the perimeters of the page in Basic Gray ink. It gives it a moodier look. 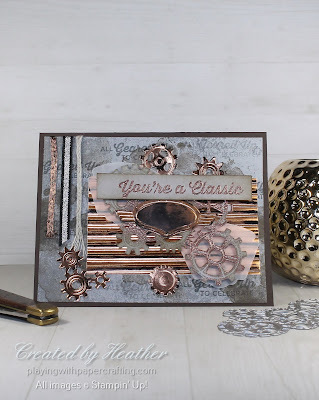 I used some Copper Foil Sheet and ran it through the Big Shot with the Corrugated Dynamic Embossing Folder. I couldn't spritz the paper because it was foil, but it didn't handle the dynamic embossing process very well either, cracking in several places along the ribs of the corrugations. To hold it together, I ran strips of Tear & Tape across the ribs on the backside and that not only held it together well, but provided adhesive to add it to the card front. 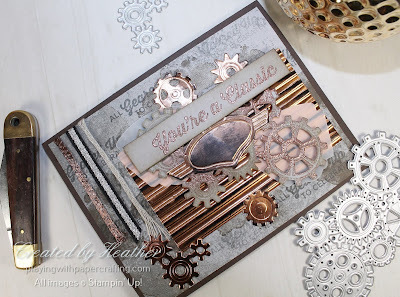 The gears are copper foil as well as Smoky Slate cardstock heat embossed with Copper Stampin' Emboss Powder and sponged with Soft Suede ink. The sentiment is on a strip of Sahara Sand, again heat embossed using Copper Stampin' Emboss Powder and sponged with Soft Suede ink. The three narrow ribbons on the left are: Copper Trim, Black/Silver Striped Metallic Ribbon and Braided Linen Trim. There's even a couple of pieces of vellum in their, die cut using one of the Garage Gears Thinlits. And now for the exciting news today! Stampin' Storage is now available for you to buy! Orders will be going in this week so give me a call or go to my On-Line Store to place your own!! How great is all this modular storage! Buy a little, or buy a lot - it does what you want it to do! And the prices are so reasonable!